When you visit Sunset Plaza Dental, you will discover how the right dental treatments can transform your smile from dull to dramatic. Our cosmetic dentist in West Hollywood offers the full spectrum of dental care so that you can have the smile of your dreams. Studies show that patients who have dental insurance are more likely to receive the kind of regular care they need to keep their smiles healthy. Preventative care is critical to detecting dental problems at their earliest stages. However, patients with dental insurance are also more likely to seek dental care at the first sign of trouble. This allows us to use more conservative treatment options that preserve more natural tooth structure. Delaying treatment or skipping routine checkups can lead to serious dental health problems. Another reason patients skip or delay necessary treatment is dental anxiety. Dental anxiety is a potentially serious issue that can interfere with your smile’s health. 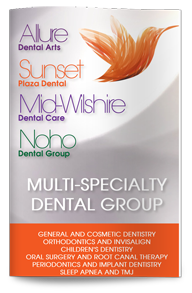 Our Delta Dental PPO dental insurance dentist in West Hollywood works with a team of dental professionals to offer comprehensive care geared towards your comfort. We specialize in ensuring that our patients feel right at home, and we offer several sedation dentistry options. This means that regardless of the degree of dental anxiety you experience, you can always feel relaxed throughout treatment. We accept most forms of dental insurance and have convenient office hours that are designed to fit easily into your schedule. Give us a call today to get started on your journey towards a healthier, happier smile.